THE HUNT to decisively deal with those seen as active participants in the doomed June 15, 2016, failed coup is seemingly far from over. 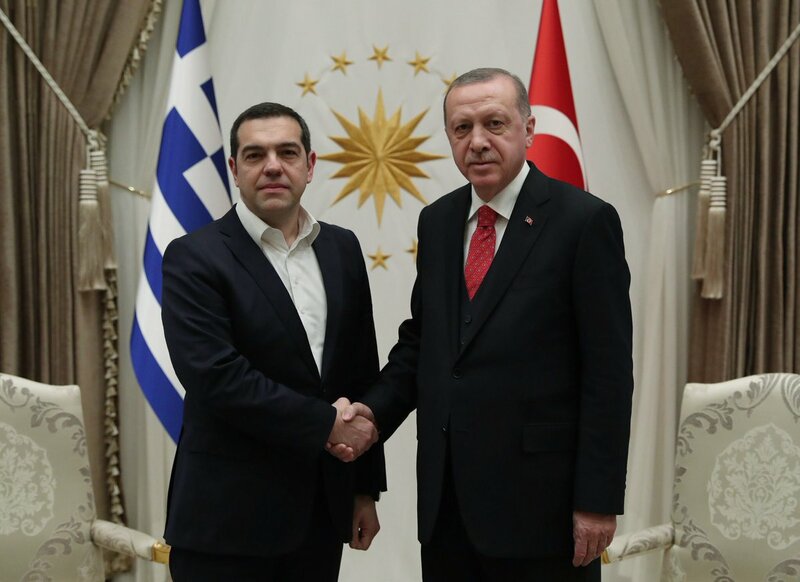 This comes after Turkey’s President Recep Tayyip Erdogan has once again called on Greece to hand over ex-Turkish soldiers who sought refuge in the country after the failed coup. The soldiers flee to avoid persecution by Ankara. During a joint press conference with Greek Prime Minister Alexis Tsipras in Istanbul on Tuesday, Erdogan asked for more cooperation from Athens and quoted the spirit of alliance under the umbrella of NATO, calling neighboring country “to act in a similar manner against the PKK, DHKP-C and FETO,” groups designated as terrorist by Ankara. “These fugitives must not find a place in Greece,” he went on. He pointed out strengthening two countries’ cooperation on the security issues was more important than the case with eight soldiers. Ankara, hours before Tsipras’ visit, had put up bounties for the capture of the soldiers who fled to Greece, a day after the coup attempt. 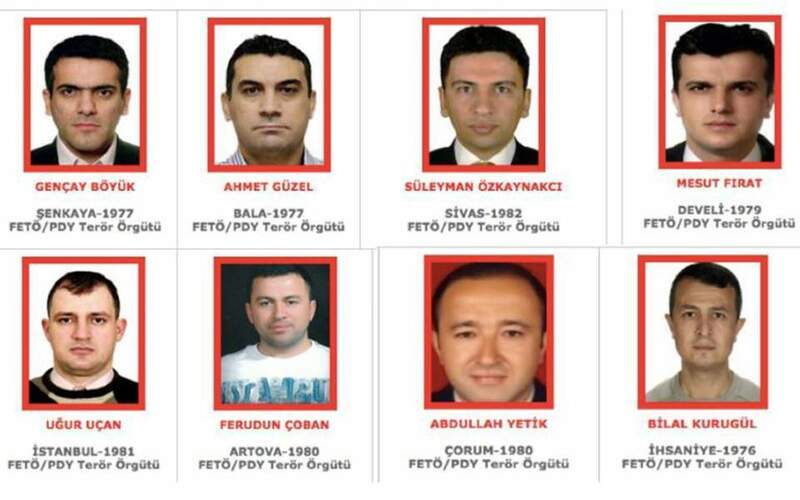 The Turkish Interior Ministry issued a wanted list of 74 military personnel including the eight soldiers who escaped to Greece for their alleged participation in the coup attempt, the state-run Anadolu news agency reported on Tuesday. The Erdogan administration has offered 4 million Turkish Lira ($770,000), a total of 5.6 million Euros for the capture of each of the eight soldiers, it reported. Greek courts decided last year not to extradite the soldiers, as they are protected by asylum law. This decision infuriated Turkey. Publicly linking the case –for the first time- with two Greek soldiers who were arrested by Turkey when they were patrolling in the border, Erdogan, in April, said “if the eight soldiers were handed to them they would consider Greece’s request” of releasing them. Erdogan’s statement was seen as a bargaining attempt for a possible soldier swap by Athens. Tsipras subsequently rebuffed the offer, calling it unacceptable. “I think the arrest of the two soldiers was pre-planned. The Turkish Armed Forces made this move following Erdoğan’s order in order to create such an environment that would lead to the transaction for the eight Turkish officers,” former Greek defence minister Panos Kammenos asserted. Turkey’s offer of a reward for the eight soldiers in Greece on the eve of the Greek Prime Minister’s visit generated a similar reaction from Greek politicians. Giorgos Koumoutsakos, an opposition lawmaker with the New Democracy party responsible for foreign affairs, accused Turkey of “a new provocative move” to undermine Tsipras’ visit, according to Kathimerini. “It has placed a bounty on the eight Turkish servicemen, disregarding the final decisions of the independent Greek justice system which has granted them asylum,” he said. Following the mass crackdown in Turkey in the wake of 2016 coup attempt, tens of thousands of Turkish nationals left their home country illegally for Greece, where they sought political asylum. The reaction by Ankara to Athens which gives protection to those who fled has been tough and has made Tsipras government a target by Turkish officials on several occasions. Turkish national asylum seekers, however, are not the only controversial issue between Ankara and Athens. Strained relations between the two NATO allies, territorial disputes in the Aegean Sea, a possible new peace effort for divided Cyprus and gas exploration in the eastern Mediterranean were on the table at Tuesday’s closed-door meeting between Erdogan and Tsipras. The Turkish leader referred to equality between Turkish and Greek populations in Cyprus as a part of an effort to start a peace process. In return, he called on Greece to improve the lives of the Muslim minority in western Thrace. “We have made every effort to improve the situation of our citizens of Greek descent and expect Greece to adopt the same approach,” he emphasised. Asked about Greek’s request to reopen the Orthodox seminary on the island of Halki, he addressed the controversial issue of muftis in western Thrace, where Ankara demands self-administration for the Muslim minority in deciding religious and social problems. “Let’s also solve this issue,” he reiterated. On his second day of visit to Turkey, Tsipras is to visit an Orthodox theological seminary on an island off Istanbul today. He is to be first serving Greek prime minister to do so. The seminary, a school for Orthodox Church leaders, has been closed since 1971.